Drivers who fail to read a number plate from 20m (65ft) away when stopped by police will have their licences revoked immediately in a new crackdown. Three forces in England are planning to test every motorist they stop in a bid to clamp down on drivers with defective eyesight. Police say data from the tests will be used to improve understanding of the extent of poor driver vision. The forces taking part are Thames Valley, Hampshire and West Midlands. 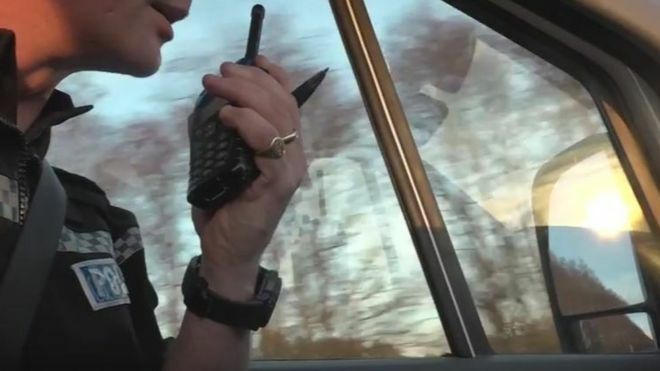 Officers can request an urgent revocation of a licence through the Driver & Vehicle Licensing Agency (DVLA) if they believe the safety of other road users will be put at risk if a driver remains on the road. Under current rules, the only mandatory examination of a driver’s vision takes place during the practical test, when learners must read a number plate from 20 metres. After a person has obtained a licence, it is up to them to inform the DVLA if they develop vision problems. The DVLA said if a licence has been revoked because a driver has failed the eyesight test, evidence must be provided on reapplication showing that the driver’s vision meets the required standard. If the evidence provided is acceptable, the agency will require an additional eye test. What happens if your licence is revoked? If your licence is revoked – which can occur for a number of medical reasons– you will have to apply for a new one, paying the fee as you would for a first licence. The DVLA will give you a disqualification period, during which a driver cannot apply for a new licence. You can then reapply eight weeks before the end of this period, and you may need to send evidence that you are fit to drive. The letter from the DVLA will tell you if this is the case. Not having a valid driving licence will often mean that your insurance is invalid. He warned that officers will be carrying out eyesight checks “at every opportunity”. The power to revoke licences was introduced in 2013 under Cassie’s Law, named after 16-year-old Cassie McCord, who died when an 87-year-old man lost control of his vehicle in Colchester, Essex. It later emerged he had failed a police eyesight test days earlier, but a legal loophole meant he was allowed to continue driving. Open Day - 20% off all ProDesign & more! Copyright 2019 R. Woodfall. All rights reserved. Designed by PowWow Creative.